I’m sure many of you love following the extremely successful and inspirational blog : Apartment Therapy. Never heard of it? You must go take a look. 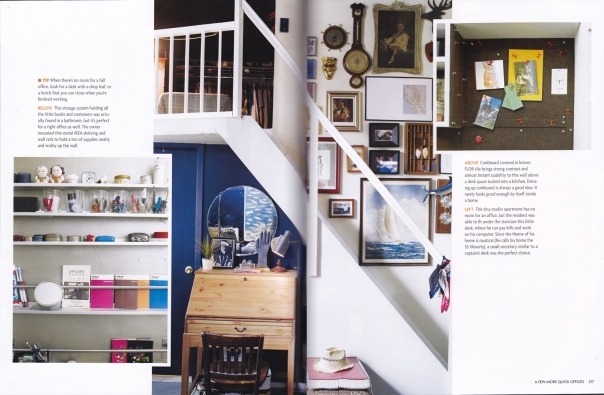 It is chock full of fantastic ideas and home tours of some really incredible spaces. For all those considering downsizing, it is an absolute necessary stop on your internet search. However, not everyone likes to get their information online so….why not check out this new, gorgeous book by Apartment Therapy founder, Maxwell Gillingham-Ryan. Full to the brim with imaginative solutions for small spaces, storage and organization, it may have you looking at your home in a whole new way! Maxwell believes that small spaces or size constraints actually opens up your creativity, forcing you to think outside the box. Since downsizing really involves a re-invention of your lifestyle, I really appreciate his fresh approach and I think you will too. Want to add it to your library? Click here to buy. Is there a small space in your own home that is begging for a makeover? Could it be more functional or even multi-functional if you looked at it with a new perspective? Look around you might just get inspired!